After years of anticipation, Zack Snyder’s Batman v Superman: Dawn of Justice is finally in theaters! We’ve created two spoiler-free reviews – watch us talk about it above and click here to read our extended thoughts – and now you have the chance to see the film and judge it for yourself. Maybe it’ll be one of your favorite comic book movies, maybe it won’t. But if you are reading this article, it should mean you’ve already seen the movie! If not, go away! There’s potential spoilers ahead! Seriously, shoo! 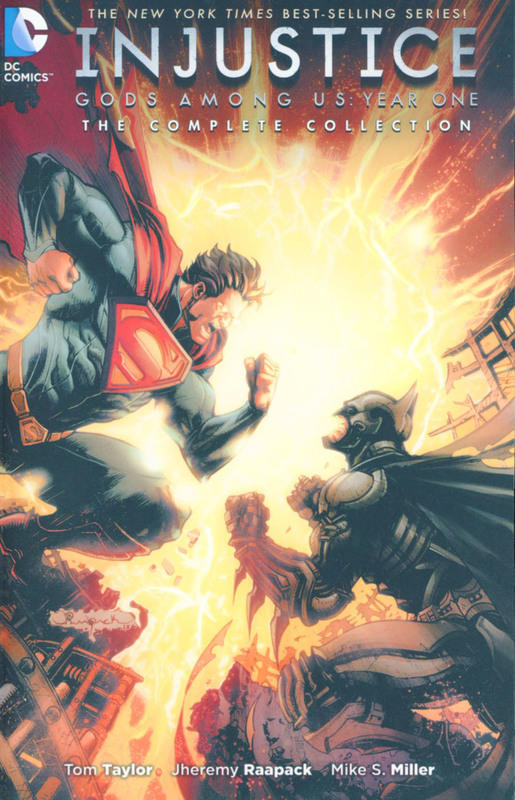 For everyone else, here are the comics you should read after you’ve watched Batman v Superman. Not only will it allow you to appreciate some of the nods that popped up in the film, but they’ll also help you prepare for some of the future DC Comics and Warner Bros. movies. Some of the below collections are currently out of stock online, but they’re still available in the three Midtown Comics stores! Let’s begin with the most obvious choice! 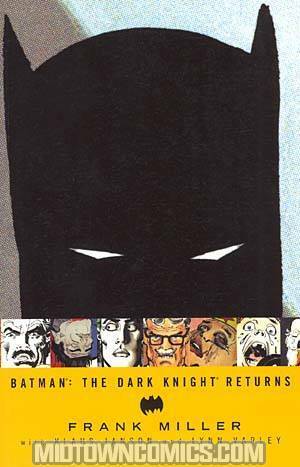 If you haven’t read Frank Miller, Klaus Janson, and Lynn Varley’s limited series, The Dark Knight Returns, you absolutely, positively have to read it after watching Batman v Superman: Dawn of Justice! You’ll see just how much the film pulls from this iconic comic. Seriously, there are a lot of nods to TDKR in the movie! The Death of Superman – which has a wide variety of talented people behind it – is without question one of the biggest stories to ever happen. It’s an action-packed ride, and now that you’ve seen Batman v Superman, you obviously know why we’re recommending it! Gal Gadot’s Wonder Woman is without question one of the standout parts of the movie – it was just so cool seeing the character make her big screen debut and act like a total badass in combat and in conversations. 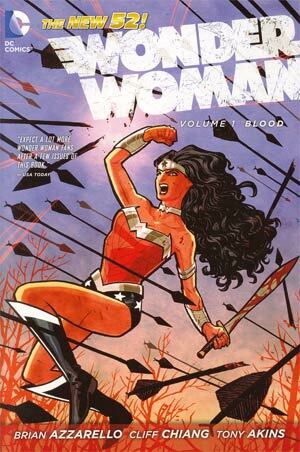 She has her very own movie coming out in 2017, and it looks like it’ll draw some inspiration from Brian Azzarello and Cliff Chiang’s excellent New 52 series. So, it’s time to do your homework! Aquaman is silly. Aquaman isn’t cool. We dare you to say something like that and sincerely mean it after reading Geoff Johns and Ivan Reis‘ New 52 series. We’ll even double dare you. It’s that good. 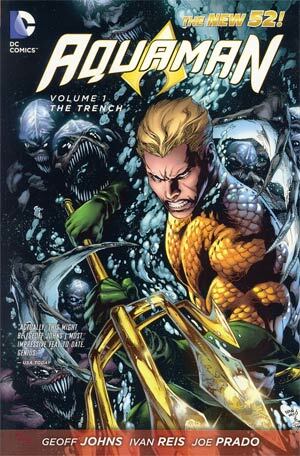 If you’re one of the people who still believe the misconception that Aquaman isn’t a good, interesting, or powerful character, you really do need to do yourself a favor and read this run as soon as possible. One of the later stories, Throne of Atlantis, is easily one of the most epic and memorable events to come out of the New 52. In this bleak alternate world, Superman was tricked into killing Lois Lane. This horrifying event absolutely shattered the Man of Steel, and he promptly murdered the villain behind the evil plot. 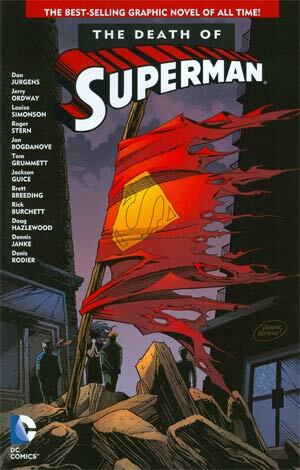 With a broken heart and blood on his hands, Superman’s life was forever changed and he set out on a new mission: to save the Earth by ruling it. Tom Taylor, Jheremy Raapack, and Mike S. Miller’s series will have you hooked. Despite taking place in such a dark and bloody setting, there’s a few gems in here that are sure to make you laugh. Batman v Superman: Dawn of Justice is finally here. Up next: director and writer David Ayer’s Suicide Squad! There’s been several rosters and volumes over the years, but the beginning is most definitely the best place to start! John Ostrander, Luke McDonnell, Dave Hunt, Bob Lewis, and Karl Kesel’s collection will throw you deep into Task Force X’s twisted world and introduce you to some of the characters that’ll appear in the upcoming film. 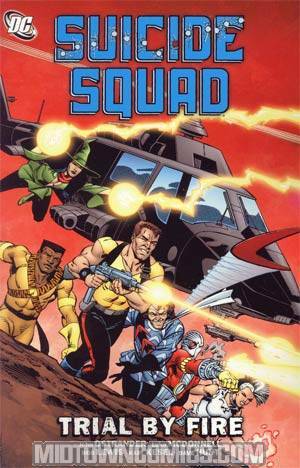 Plus, it’s simply an awesome comic; that should be a good enough reasons to read this classic! With a blatant Darkseid teaser in Batman v Superman, it’s looking DC’s biggest villain may show his frightening face in the Justice League movies! Well, Geoff Johns and Jim Lee’s opening New 52 story in the Justice League series is action-packed, looks great, and features the evil, terrifying titan. 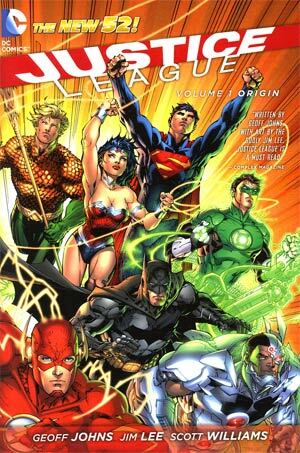 Full of entertainment and featuring characters who are set to get their own movies, this is something every casual DC fan and collector should read at least once.